What’s the Price for the 2019 INFINITI QX50? How Many MPG Does the 2019 INFINITI QX50 Get? What’s New for the 2019 INFINITI QX50? The new 2019 INFINITI QX50 proves to be versatile and dynamic with features that are designed to accommodate the driver and improve the experience of riding in the car. The vehicle is built with a 2.0-liter V6 engine that generates 268 horsepower and is also known as a VC-Turbo. As the first car in the world to have the production-ready variable compression engine, the car is capable of adjusting its compression ratio within seconds as it’s operating. The fuel economy is also competitive in its class for a luxury SUV with 24 mpg in the city and 31 mpg on the highway. The car is fun to drive and has a touch of athleticism despite its size. The vehicle is also calm and collected when driving around town with a quiet and smooth interior. The QX50 is preppy enough to offer excellent acceleration but still feels normal under the hood. The car has a strong and efficient powertrain, allowing it to perform well on long commutes or when running errands around town. There’s much to appreciate about the exterior of the 2019 INFINITI QX50 due to the stylish exterior that looks upscale and sophisticated. Chrome material frames the windows and looks jagged towards the back of the car for a unique design that adds a modern touch to the body. The tail lights curve around the frame of the body and are oversized with a chrome bar that connects the two features. LED lights are used on the headlights, creating a sleek design that looks sharp on the highway. The large grille on the front of the car shows off the massive size of the vehicle and looks upscale with chrome that frames the feature. 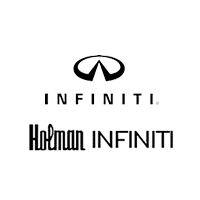 The INFINITI emblem is bold and easy to recognize, working as one of the main focal points on the body. Plenty of cargo space is provided in the QX50, along with spacious and supportive seats where a significant amount of head- and legroom is available. The cabin has premium materials that are used to increase the level of comfort in the car with an interior that is more regal than its predecessor. The top standard features that are included in the vehicle are a six-speaker audio system, a USB port, satellite radio, a rearview camera, forward emergency braking, pedestrian detection, forward collision warning, the InTouch dual-screen infotainment system, and dual-zone automatic climate control. Those who want a few more bells and whistles on the car can choose to add on remote start, tri-zone automatic climate control, a moonroof, blind spot monitoring, lane departure warning and prevention, a surround-view camera, front and rear parking sensors, adaptive cruise control, ProPilot Assist, backup collision intervention, rear cross traffic alert, and blind spot monitoring. The long list of driver assisted technology that is available improves the safety of the vehicle and can increase driver confidence by compensating for any mistakes that are made on the road. If you want to get a firsthand look at the new 2019 INFINITI QX50, contact our dealership to schedule a test drive and take the car for a spin. We’ll answer all of your questions and make it a point to provide quality customer service.